The tree you can see photographed here is a maple growing in an English meadow. I must admit I didn't know maples grew in England until I went to Druid Camp last week. 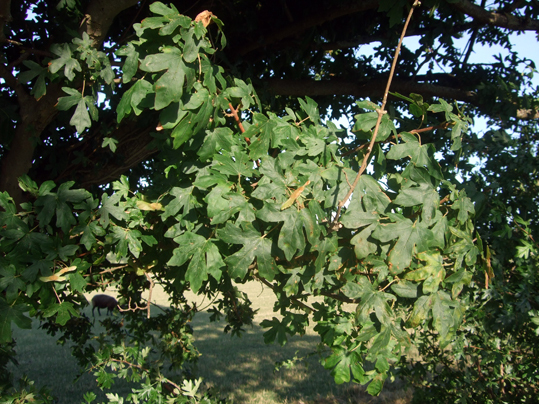 When I pitched my tent under this tree I noticed the unusual shape of the leaves and asked if anyone knew what it was, because I didn't recognise it. However, druids are very knowledgeable about trees and I quickly found one who told me it was a field maple (Acer campestre). 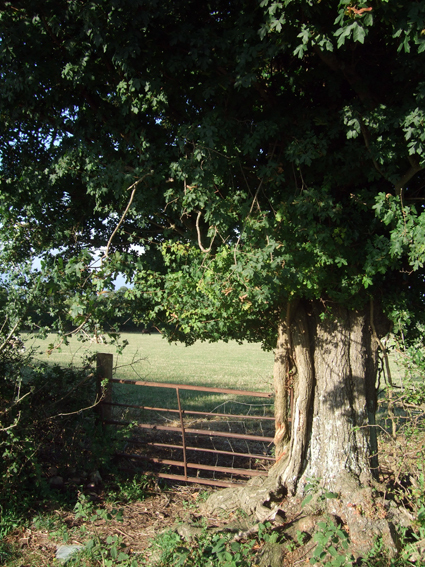 Another name for it is dog oak - although it is not an oak tree. The field maple is the only native maple of the British Isles and is quite rare in England, I was told. It is apparently very popular with butterflies including the white hairstreak butterfly, which loves the honeydew produced by the leaves. It is probably a good thing that there are field maples for the white hairstreak to live in, because the butterfly's favourite tree is the even rarer elm. 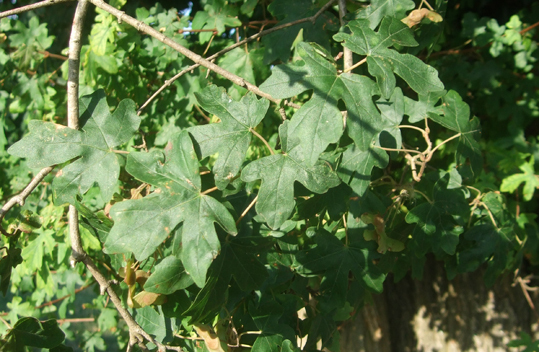 Magically, the field maple is associated with love and matters of the heart. Sitting under one and resting is supposed to ease the burdens of those weighed down with heavy responsibilities - although personally I think resting under any tree can help with that. According to folklore, if you carry a child around a field maple or pass the youngster through the branches, they will be granted long life. In Alsatian folklore it is said that field maples will protect nearby houses against bats and keep nesting storks undisturbed. Bringing branches into the home has the same effect if you don't happen to have one growing in your garden but prefer not to have bats in your belfry. Field maple wood is hard and is very good for making bowls out of, especially using wood-turning methods. It is traditionally used to make masers, or mazers, the ceremonial drinking bowls used in wassailing ceremonies to drink to the good health of apple trees at the start of the year. In the autumn, field maple leaves turn the glorious colours generally associated with maples.